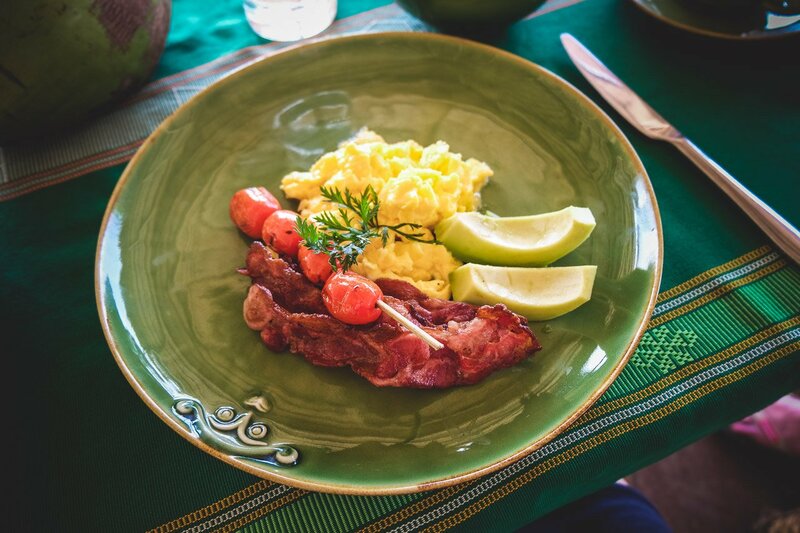 A healthy breakfast with stunning views of the Indian Ocean, spoiling yourself all day long with one spa treatment after the other, enjoying a swim in the ocean and then relaxing in your villa – in other words, an absolutely perfect day! 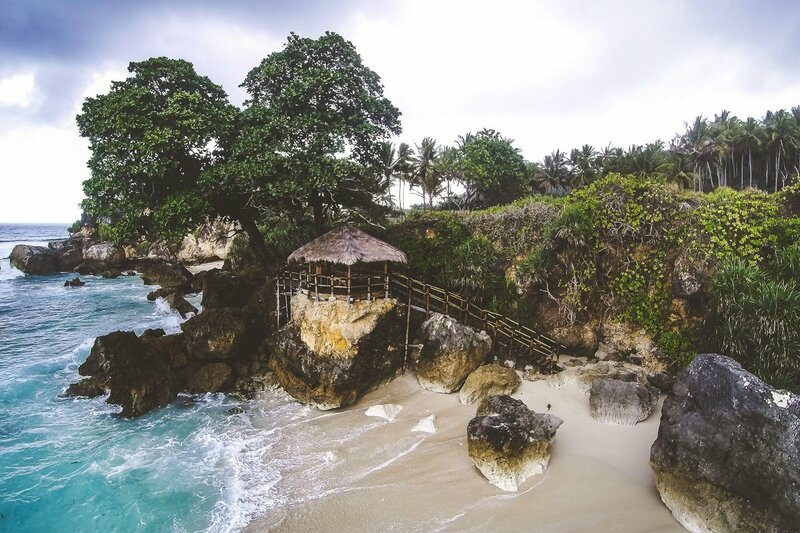 And this is precisely what you get to experience at the NihiOka Spa on the Indonesian, Sumba Island. 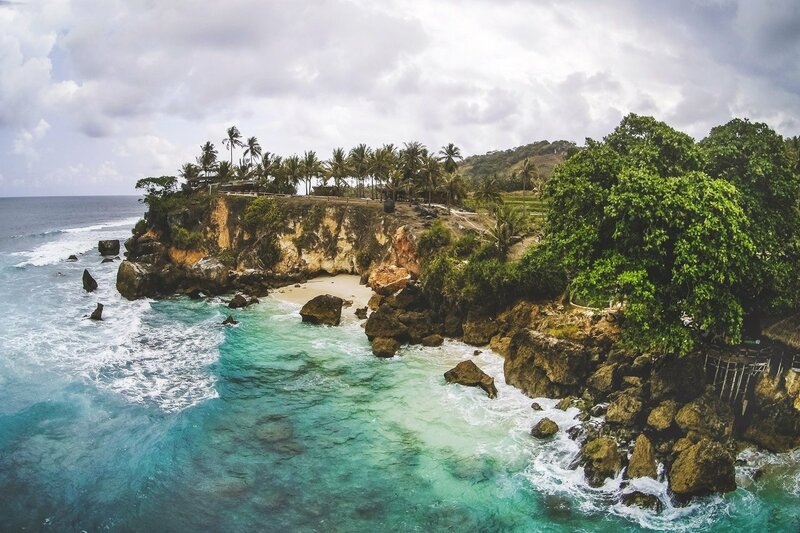 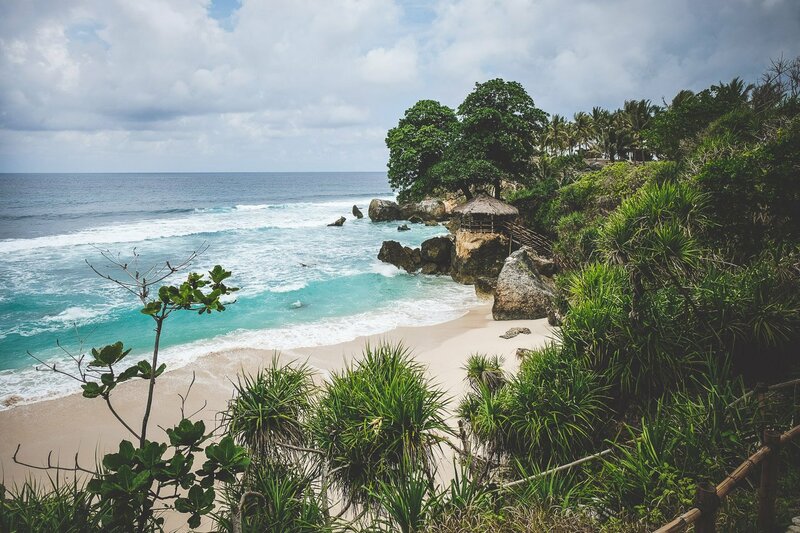 The island is 400 km from Bali and famous for its natural beauty and untamed wilderness. 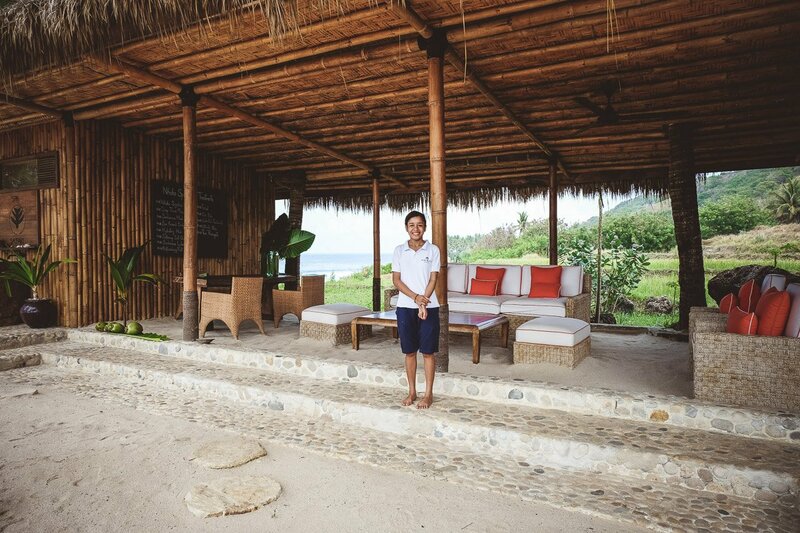 The spa safari is a new and unique concept and the brainchild of Christoper Burch and his partner James McBride – the owners of the nearby luxury Nihi Sumba Resort. 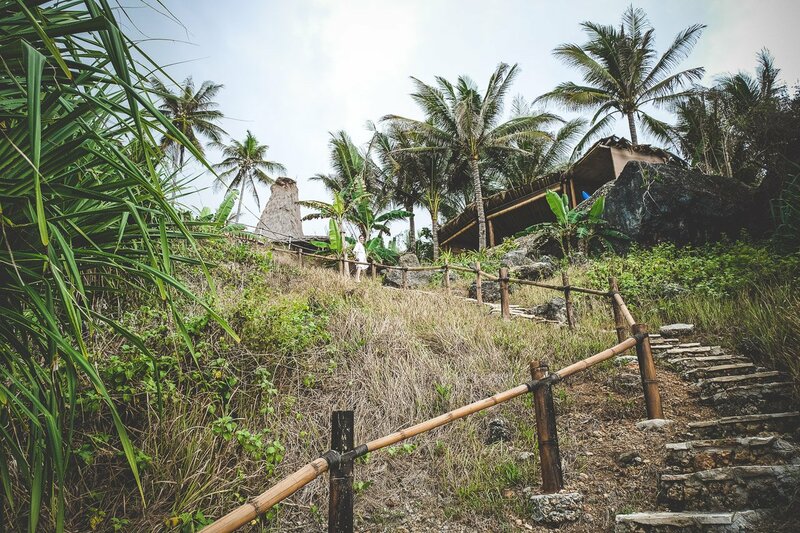 It provides the ideal setting for unusual spa experiences at the other end of the world to anyone that enjoys wellness and massages. 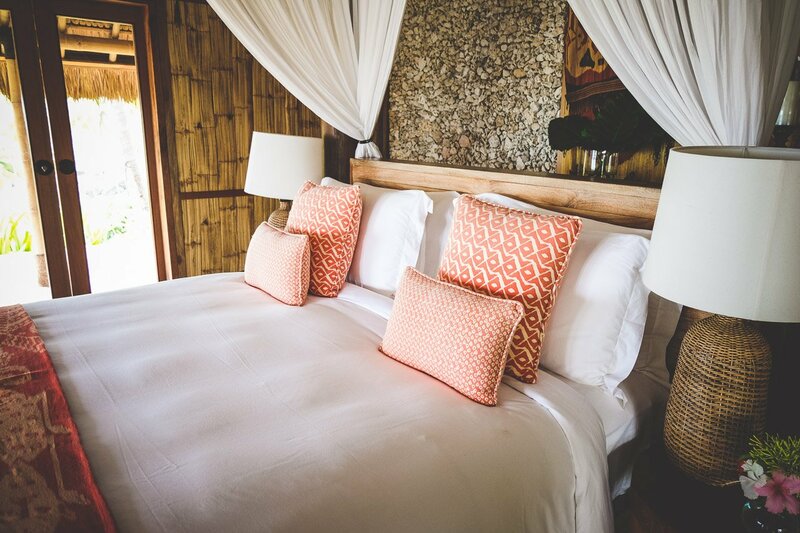 It is especially romantic for couples and honeymooners who can relax and be pampered in complete seclusion all day long. 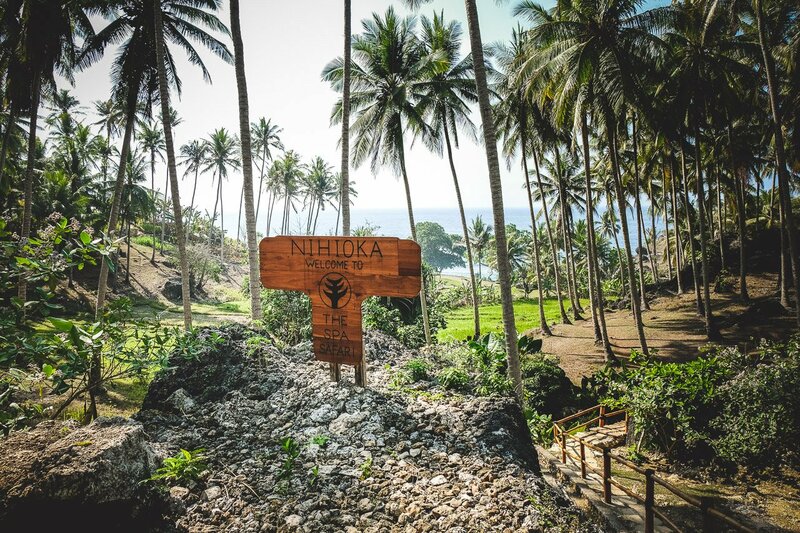 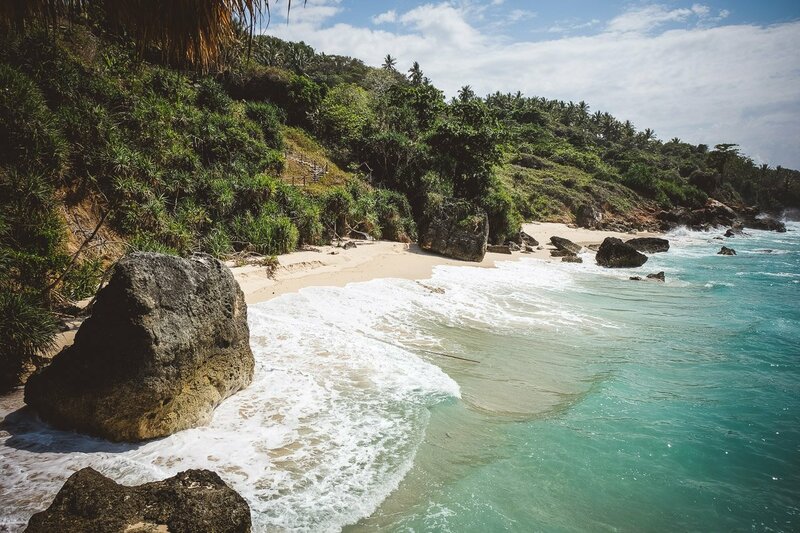 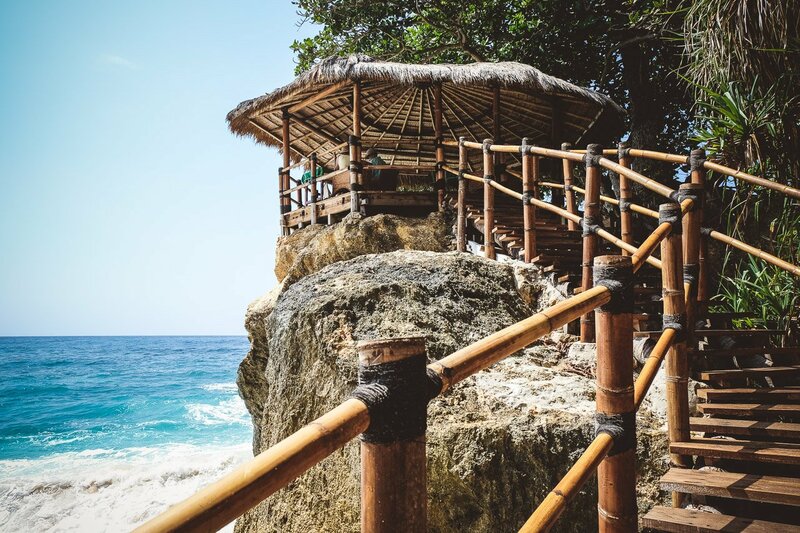 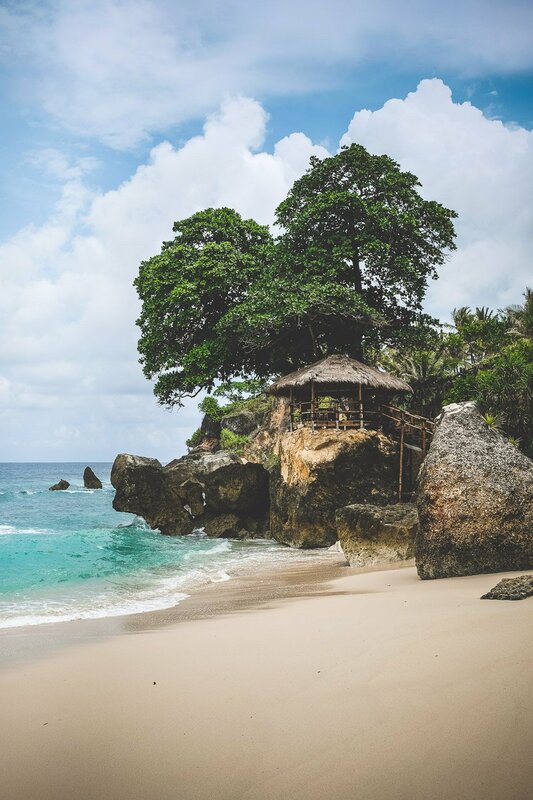 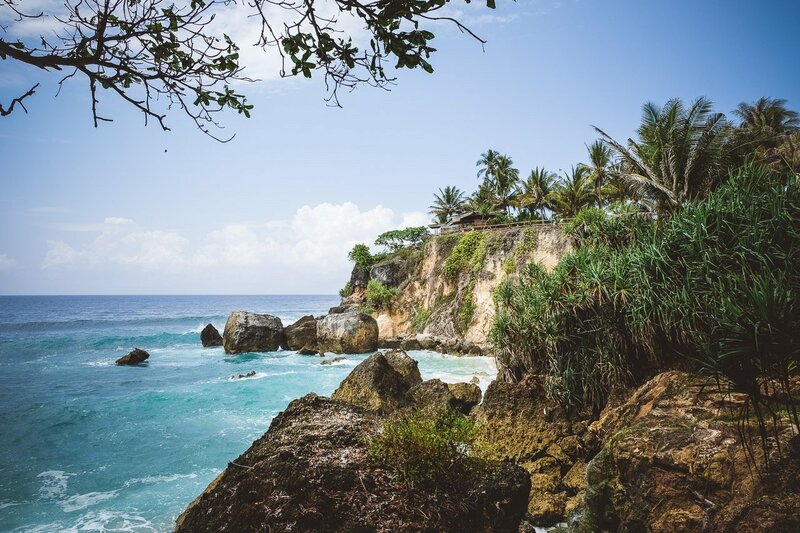 The NihiOka Spa is located on Sumba Island’s rocky west coast from where you have breathtaking views of the ocean ​​and the setting sun. 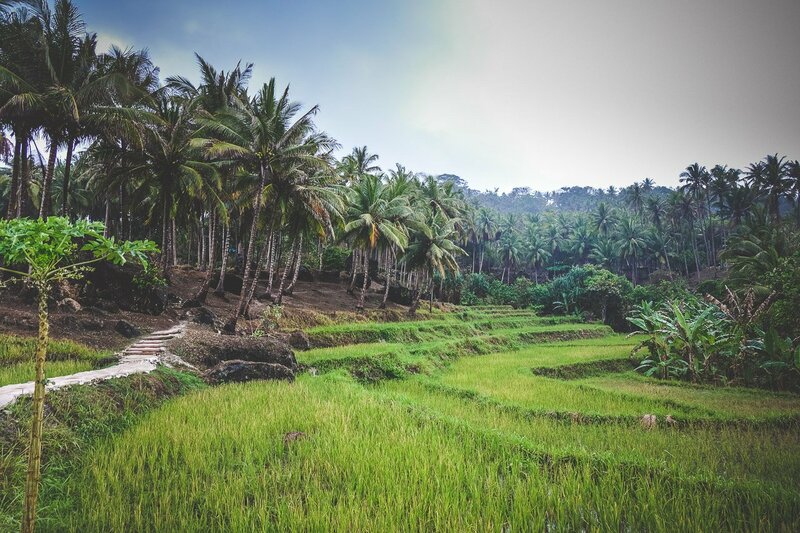 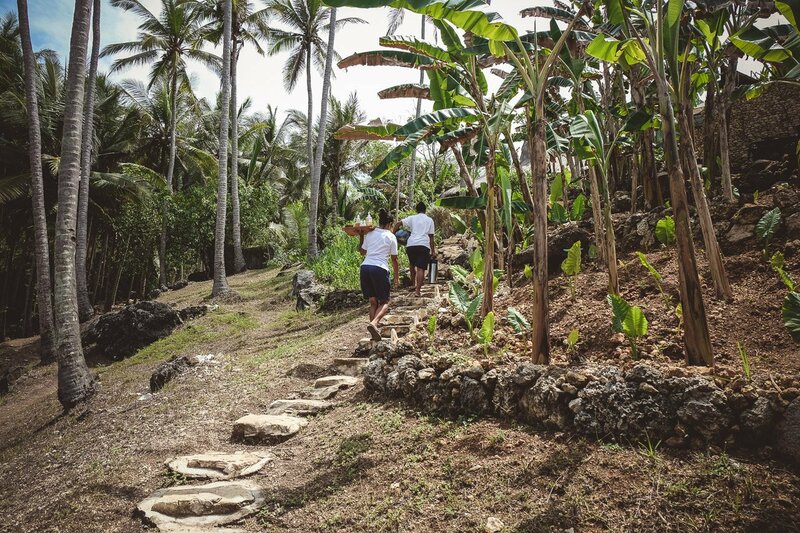 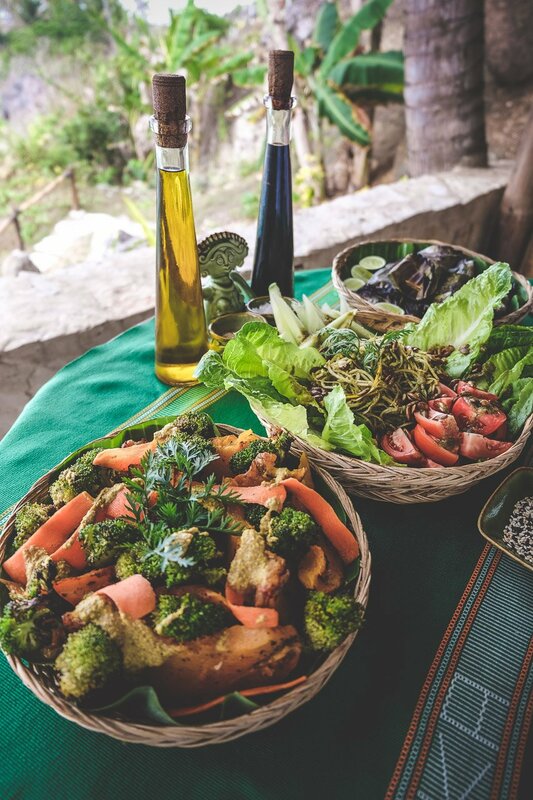 Your wellness day starts shortly after sunrise with a 90-minute hike through the gentle hilly landscape, extensive rice fields and a traditional Sumbanese village. 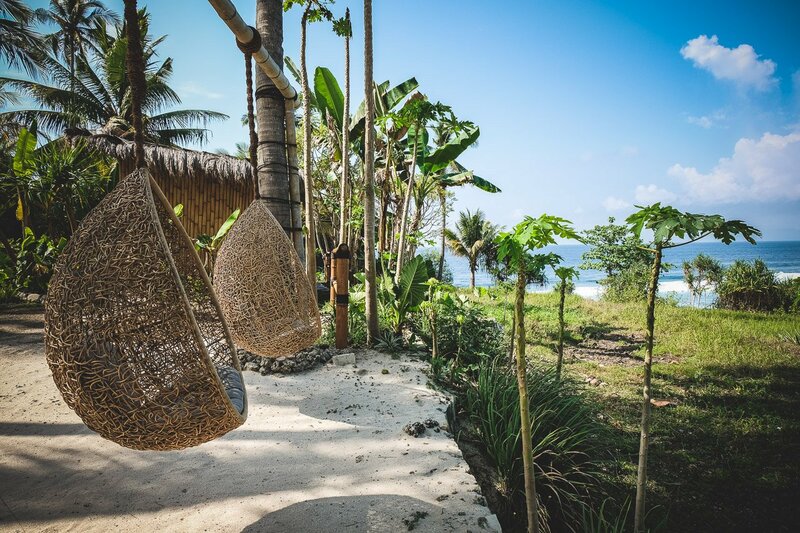 You have the amazing opportunity to meet some of the villagers and buy local handicrafts. 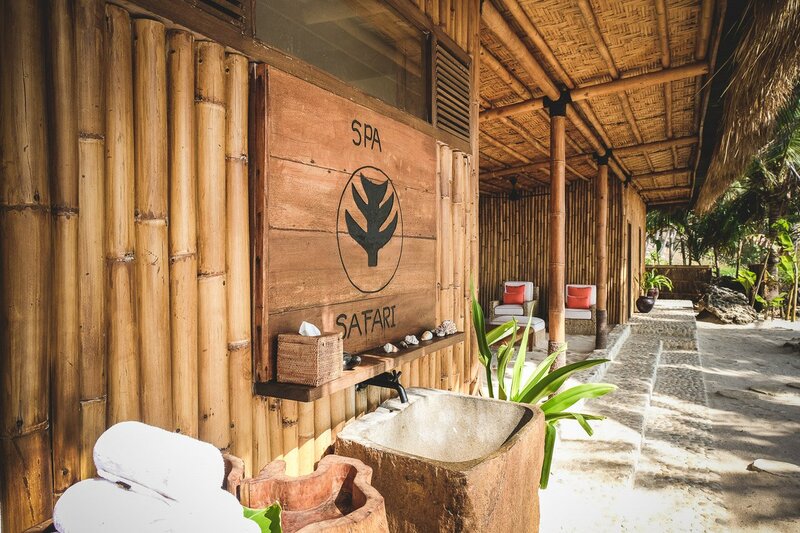 However, if like us, you would prefer not to go on a hike so early in the morning, you can choose to be driven to the spa in a safari jeep and you get to leave an hour later. 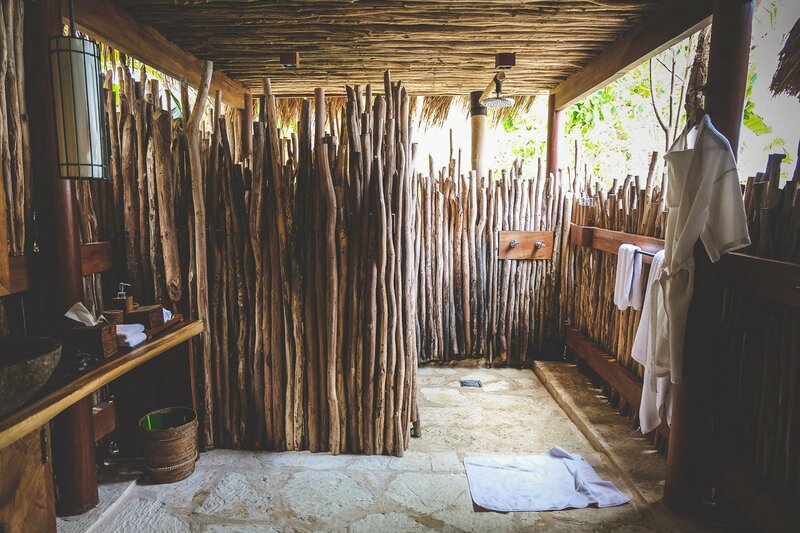 Once at the spa, you cannot help but be overwhelmed by its natural beauty! 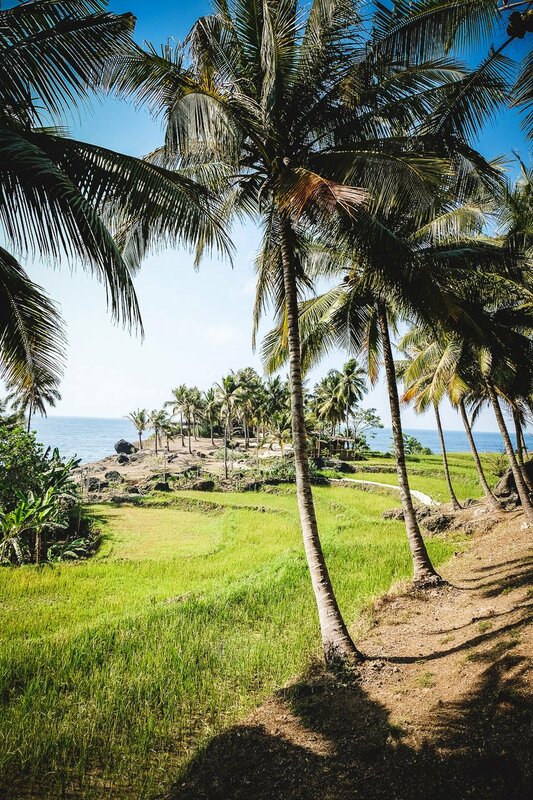 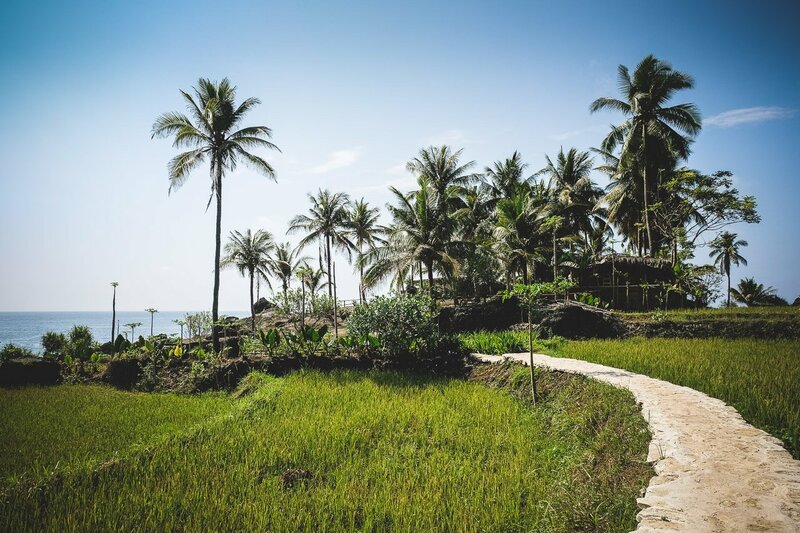 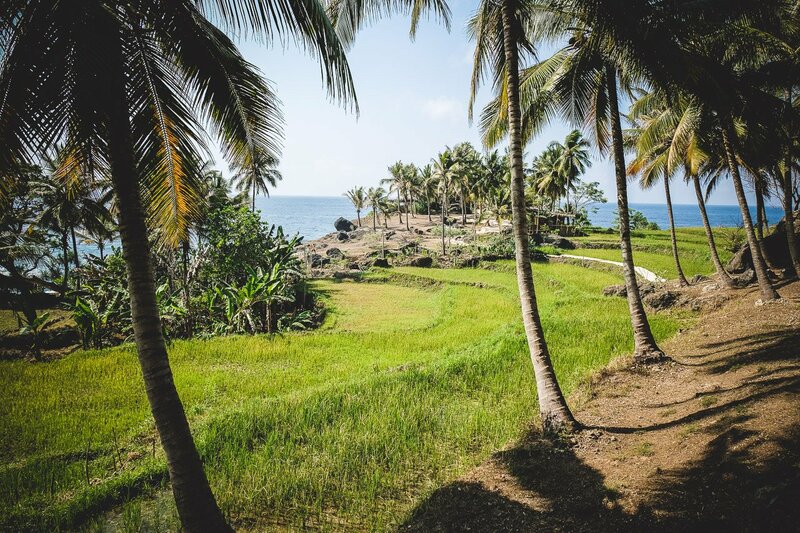 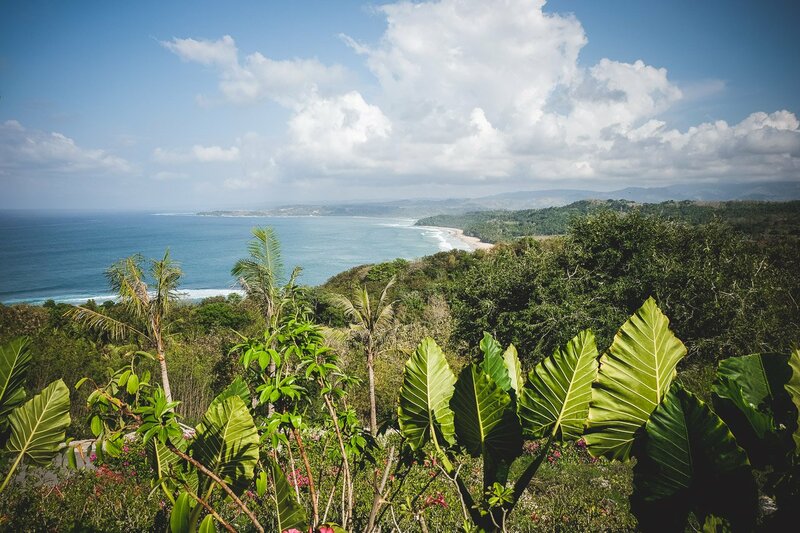 The palm trees, the grassy rice fields and the vastness of ocean are balm for the eyes. 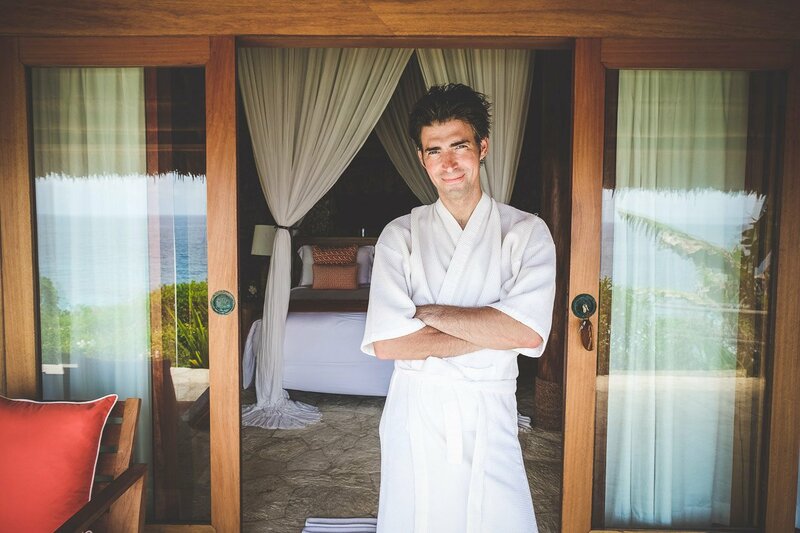 The spa only accommodates a maximum of six to eight guests at any given time, so you really are undisturbed. 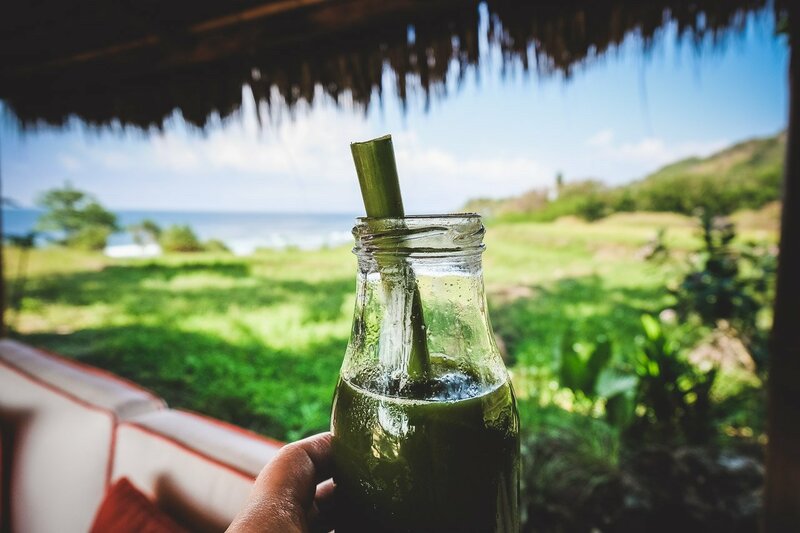 After the trek, you are welcomed at the spa with cold towels, healthy green juice and fresh coconuts. 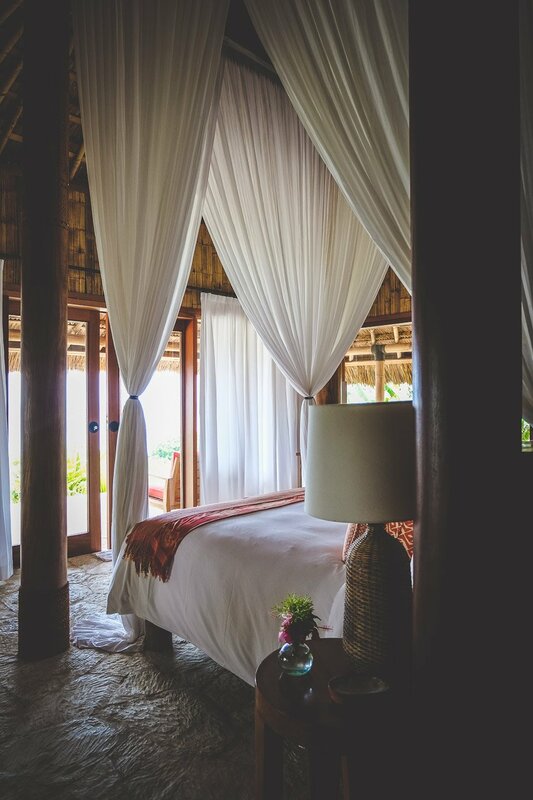 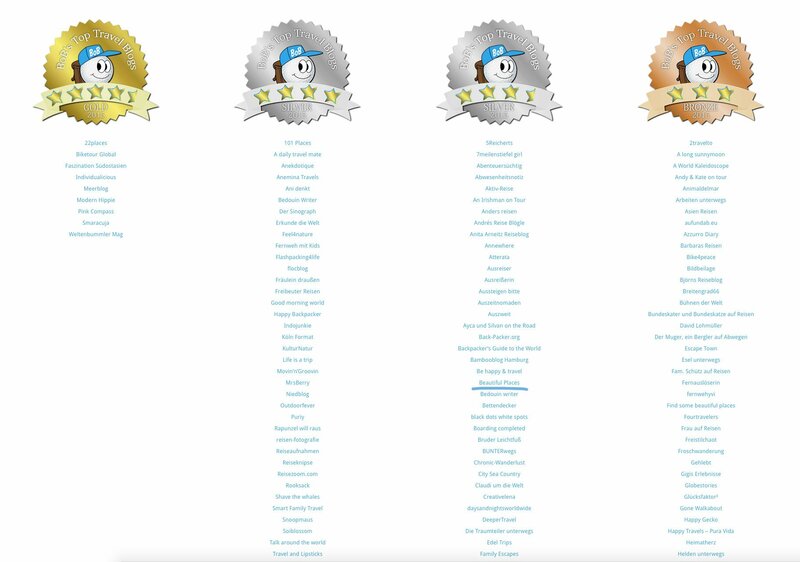 Once settled, we were asked to read through the list of spa treatments and select as many as we would like – heaven on earth! 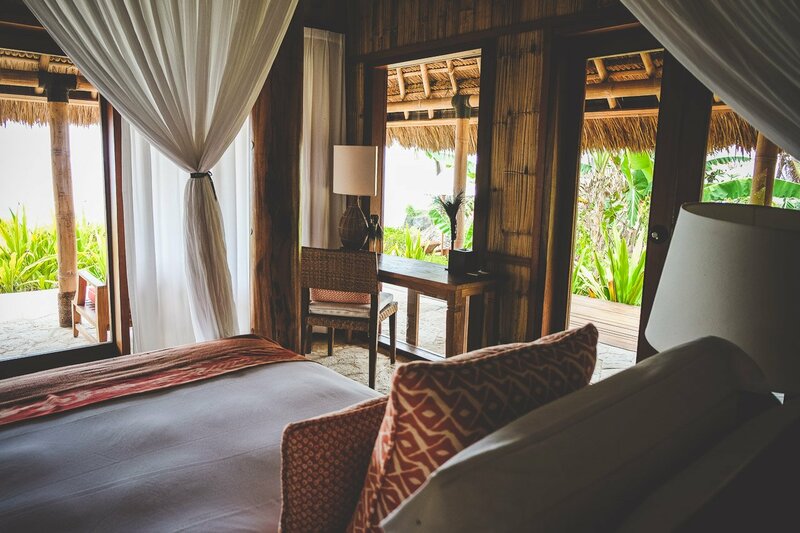 You are spoiled from head to toe – at whatever pace allows you to completely unwind as you have all day to relax and indulge. 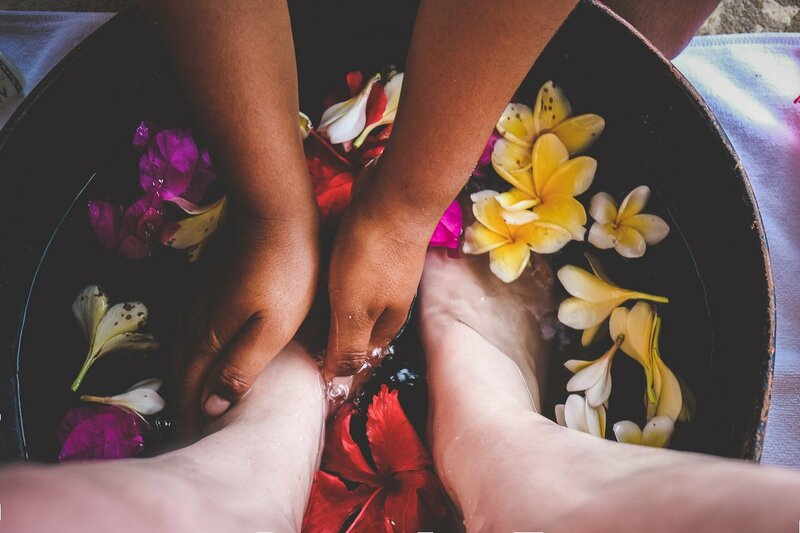 Facials, full body massages, cooling and rejuvenating wraps, body scrubs and foot reflexology, all treatments are done with natural and local ingredients. 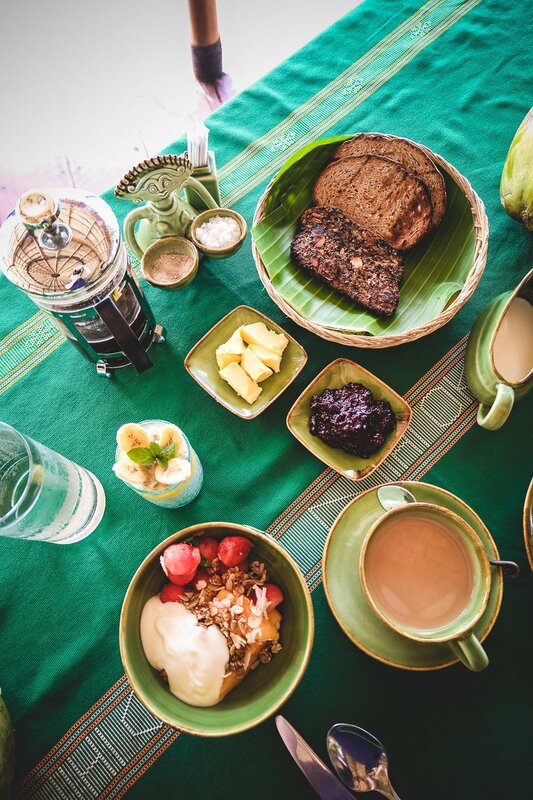 Then, it’s time for breakfast. 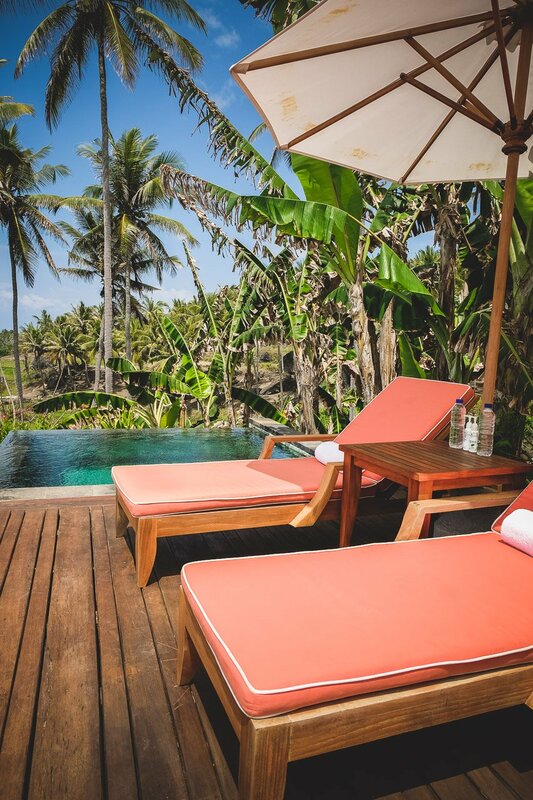 A therapist accompanies you past some palm trees and a gorgeous infinity pool with sunbeds to your own tree house. 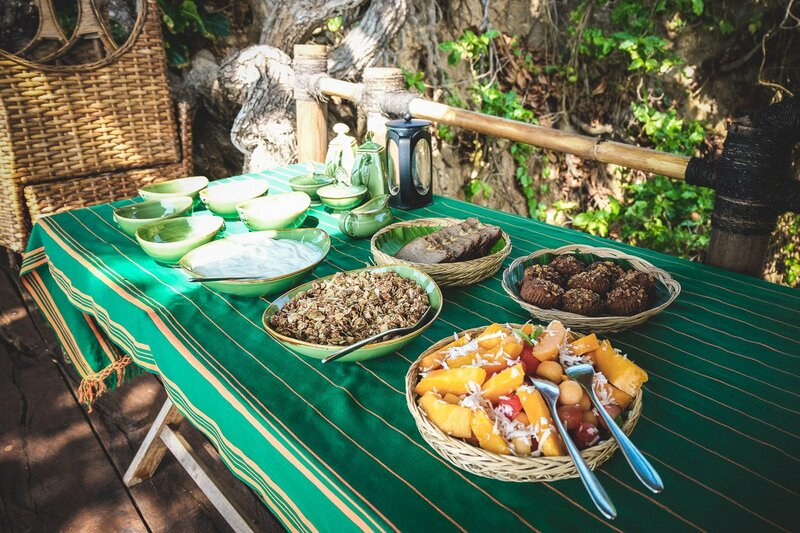 Once in the magnificent tree house, you are served a delicious, healthy breakfast, consisting of fresh juices, cereals and fruit. 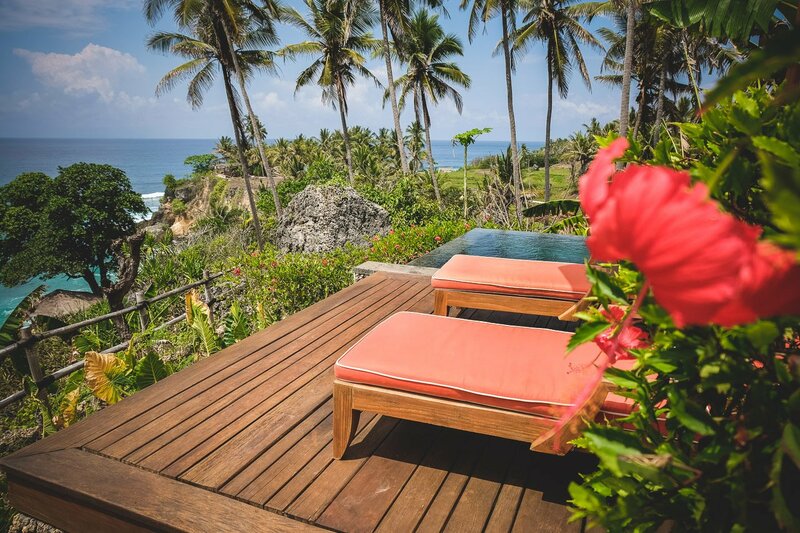 The view of the ocean and the private beach is picture perfect! 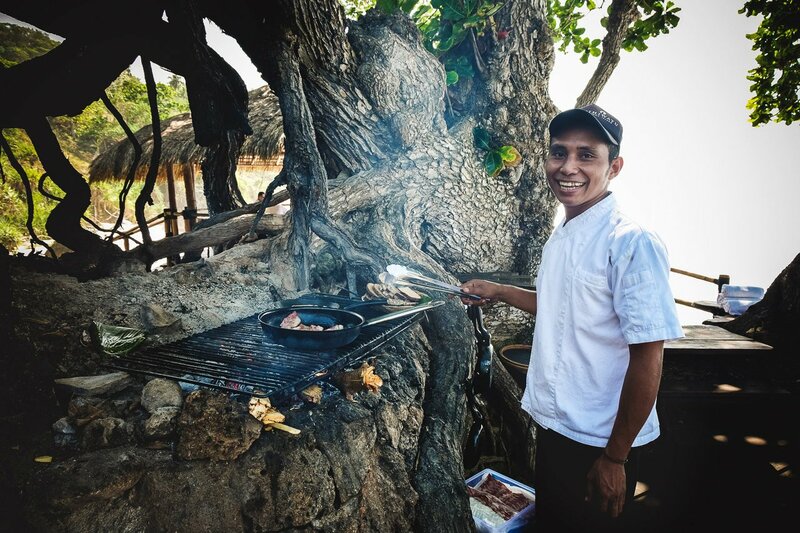 In the quaint treehouse kitchen, they can even cook you some eggs and bacon. 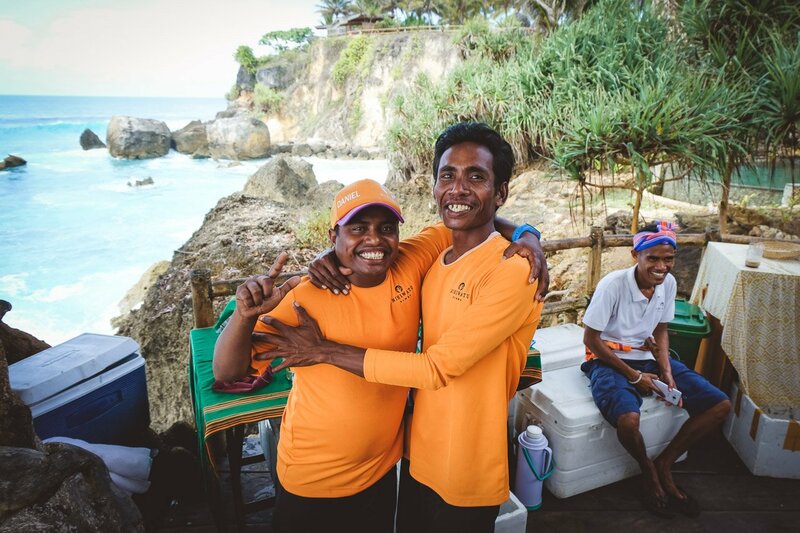 The employees of Nihi are extremely friendly and warm-hearted. 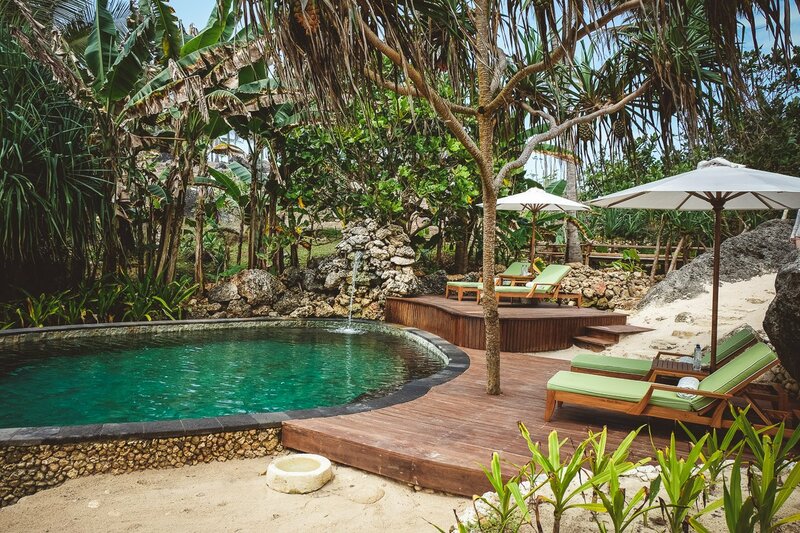 After breakfast, you go back to your own secluded private villa (Bale) with its own freshwater pool. 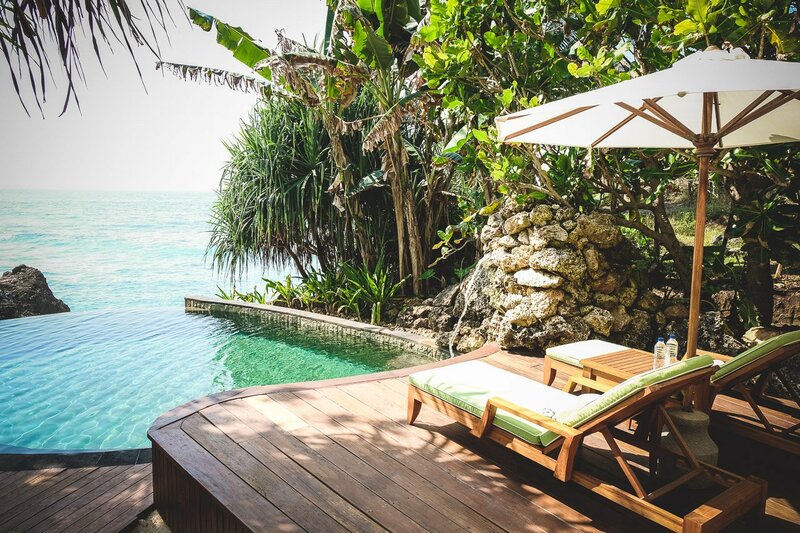 Here you can then spend some time relaxing. 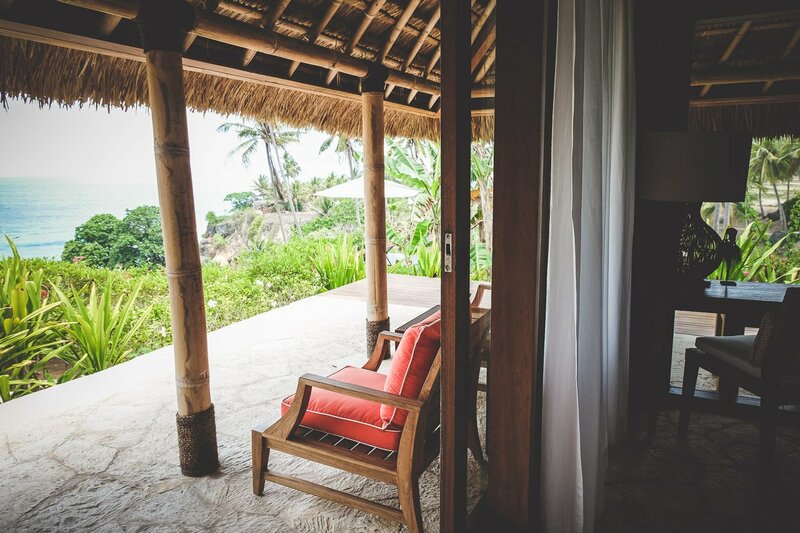 In the open treatment room in the middle of the jungle, with the sound of birds and crashing waves, you are pampered all day long. 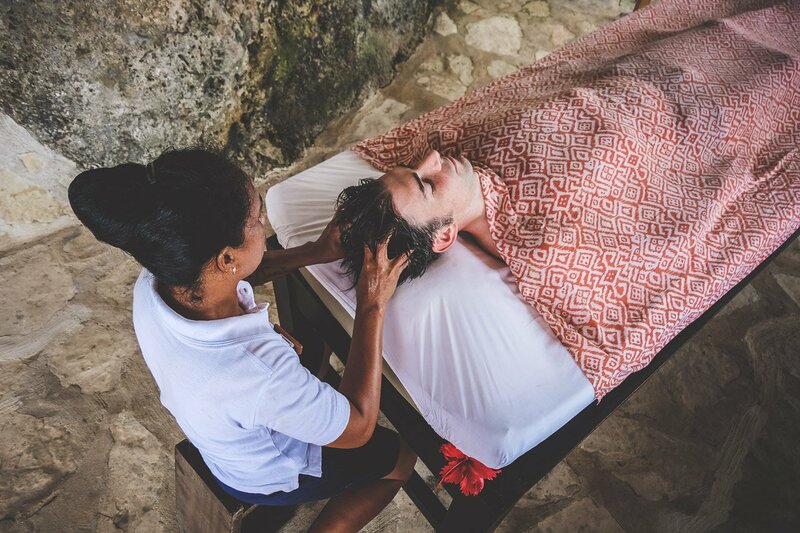 Inch by inch you are spoiled with unlimited treatments: a full body massage, facial, exfoliation, hair treatment and foot reflexology, what more can one wish for! 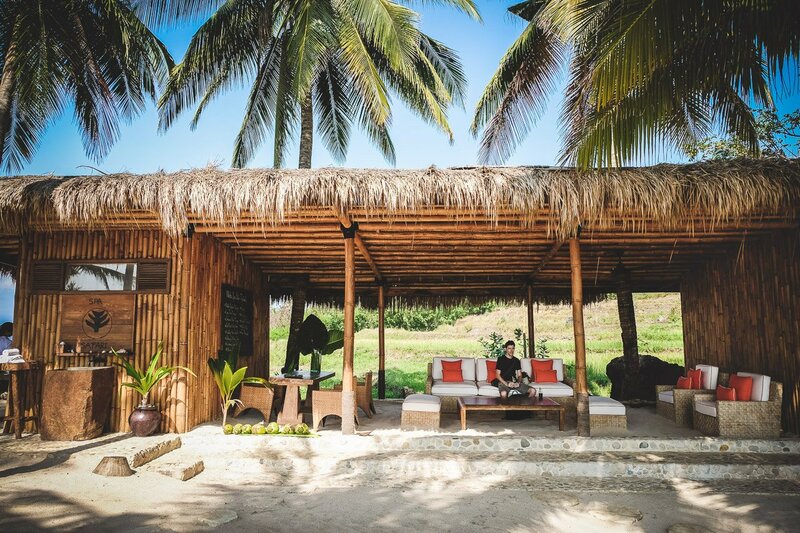 Between the countless treatment therapies, you can relax in the privacy of your own small villa with open bathroom, a pool surrounded by coconut palm trees or on your small private beach by the crystal clear waters of the Indian Ocean. 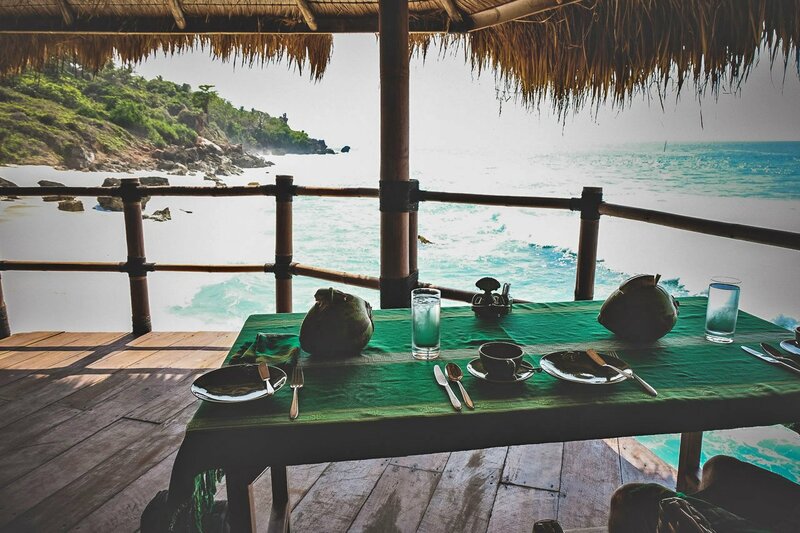 In between, a fresh vegetarian lunch including some banana leaves with quinoa salad, rice noodles and tomato gazpacho is served. 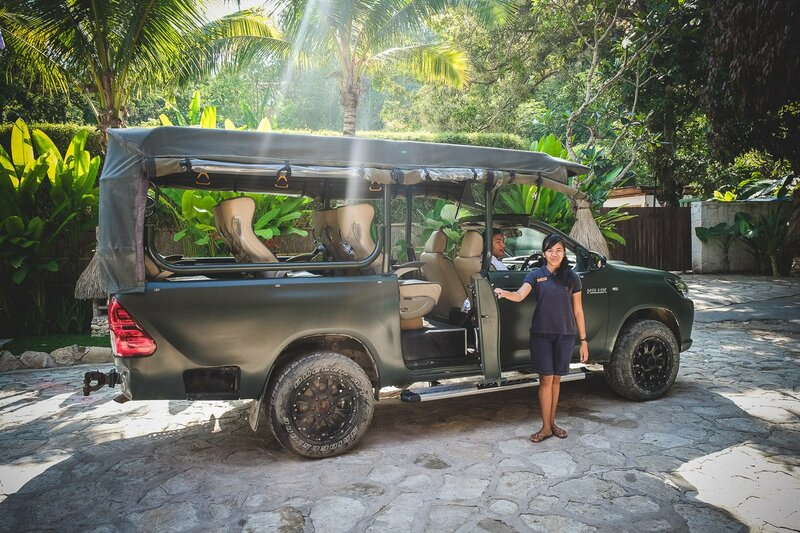 After this unique wellness day experience, you are driven back to the hotel in one of the safari vehicles. 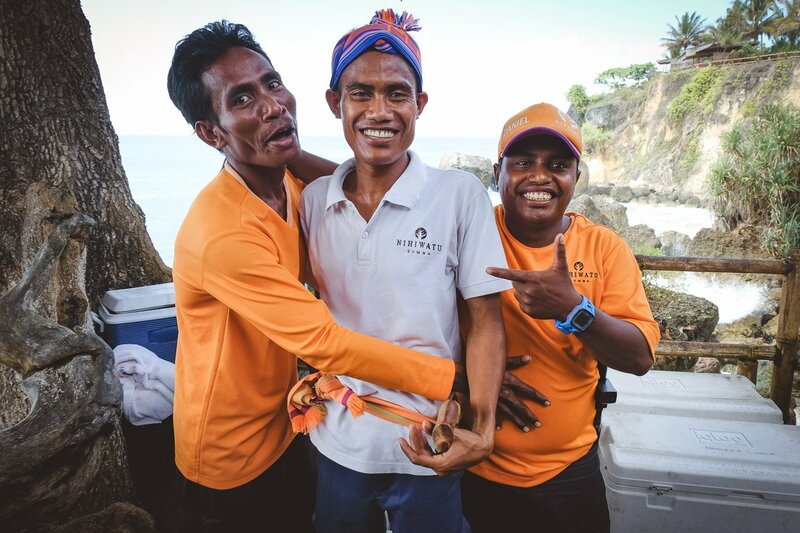 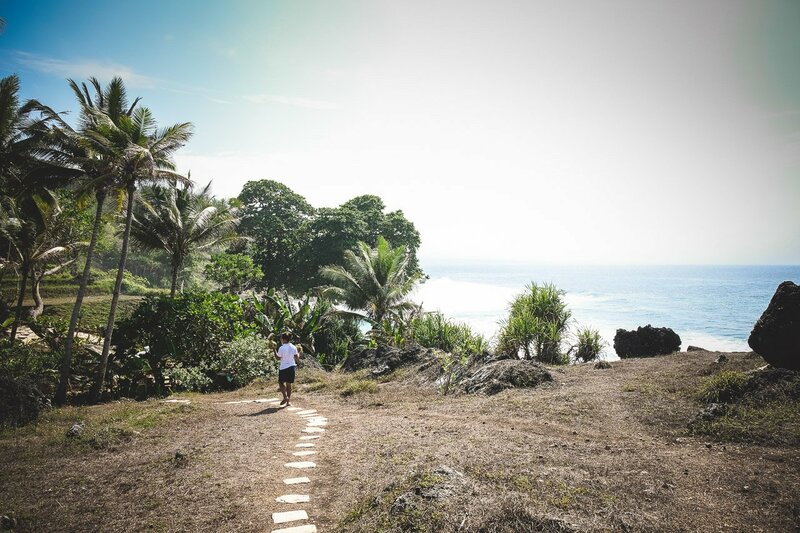 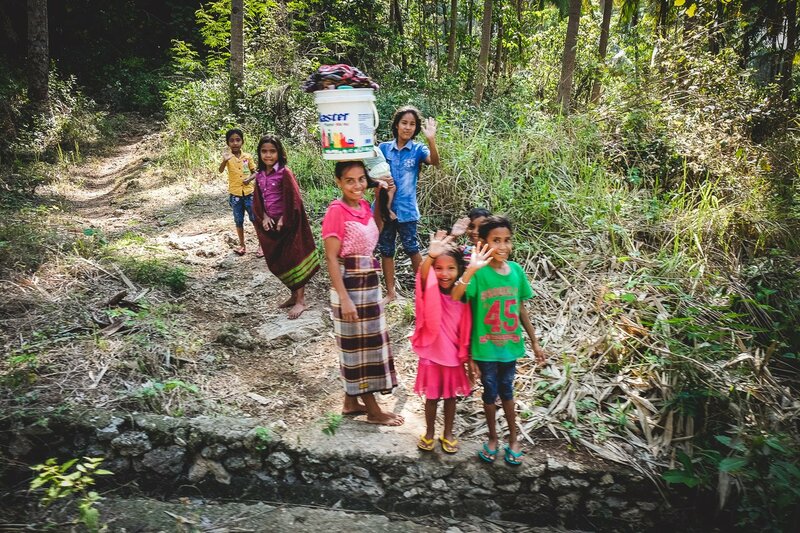 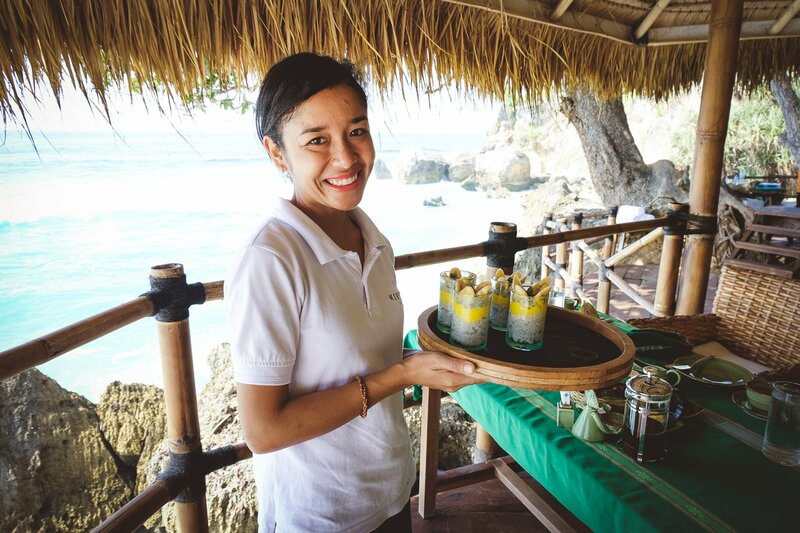 What makes Sumba Island and Nihi so unique, are the incredible employees. 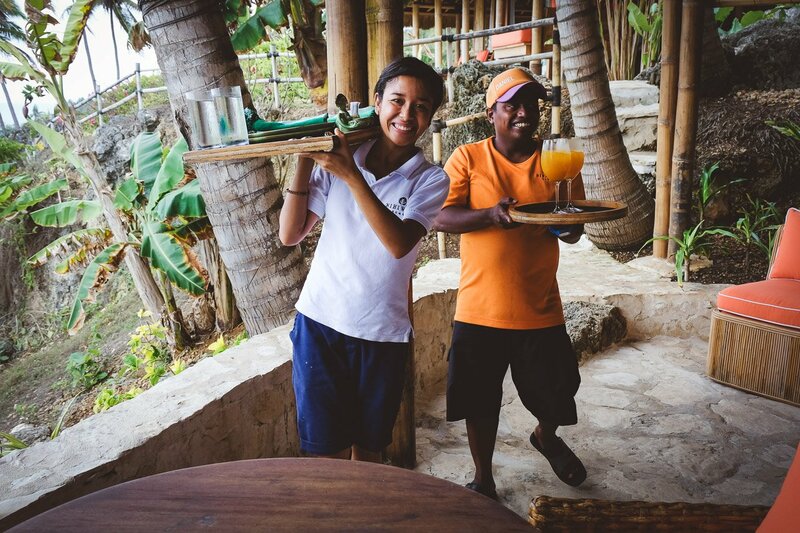 They are the ones that make this relaxing experience perfect in every way. 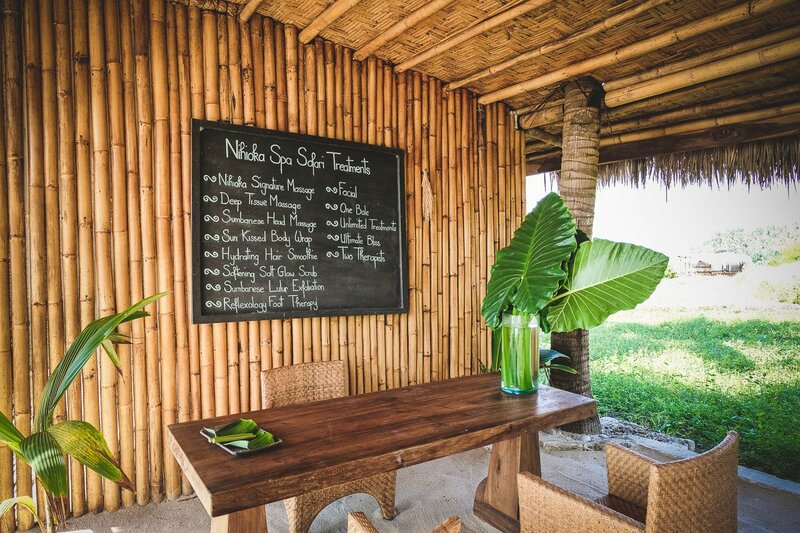 As we renewed our wedding vows at the Nihi Sumba Resort, our Spa Safari was already included in our Wedding Package. 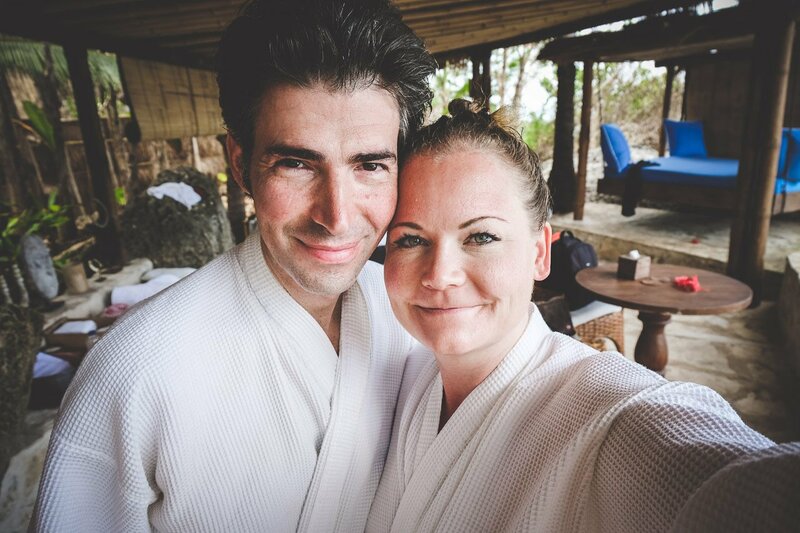 At the end of this mind-blowing wellness day, we felt entirely blessed and so relaxed. 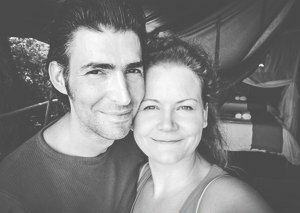 We thoroughly enjoyed every moment! 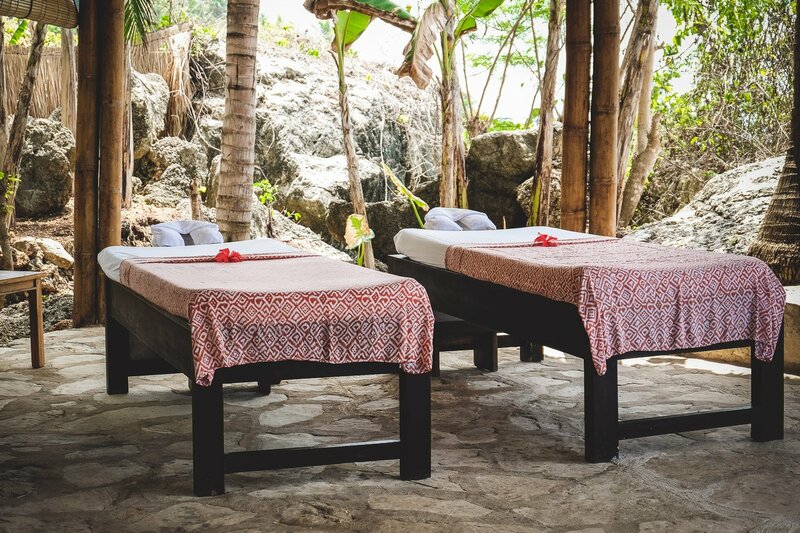 The surroundings are devastatingly beautiful and the treatments done lovingly by the therapists, were blissfully relaxing. 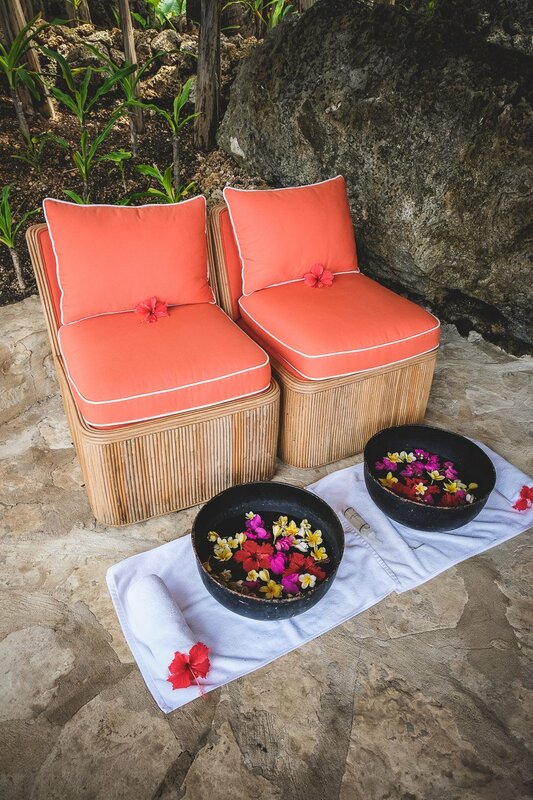 To be pampered for an entire day at this price is a one of a kind experience not to be missed. 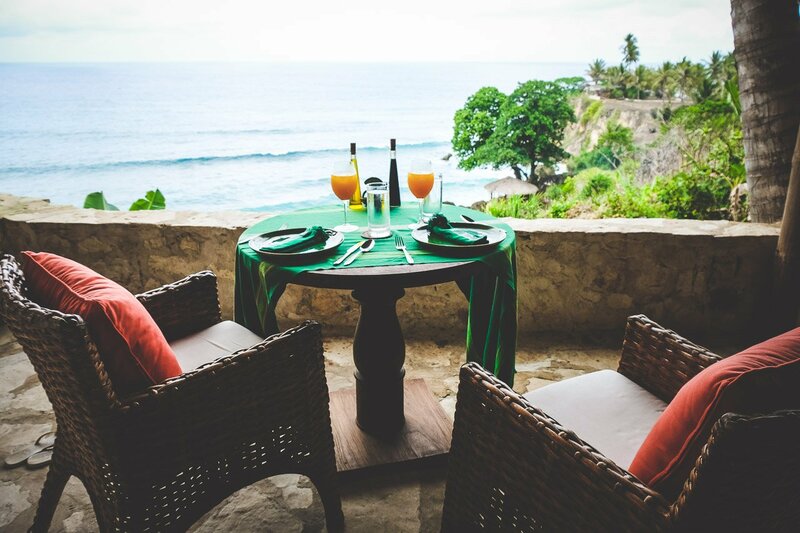 Price: Packages start at USD 495++ for a half day per couple or from USD 695++ for a full day per couple. 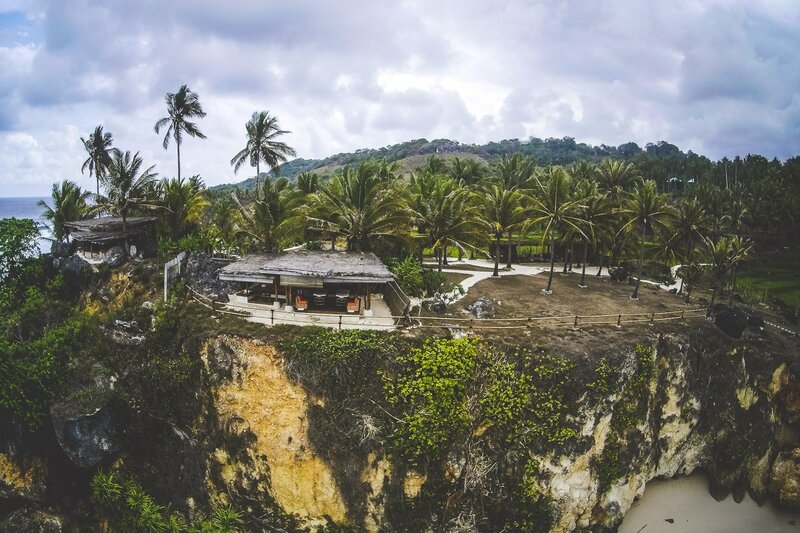 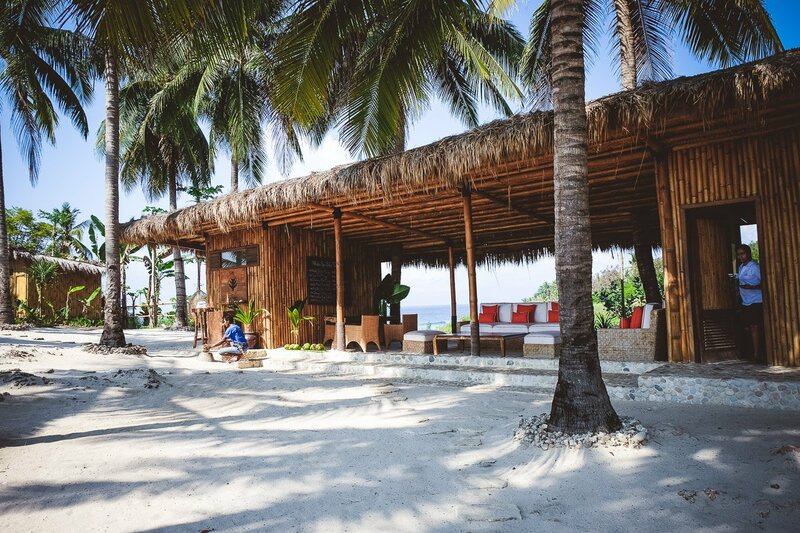 The Nihi Sumba Resort was honored as the Destination Resort of the Year at the Asia Spa Awards in 2015. 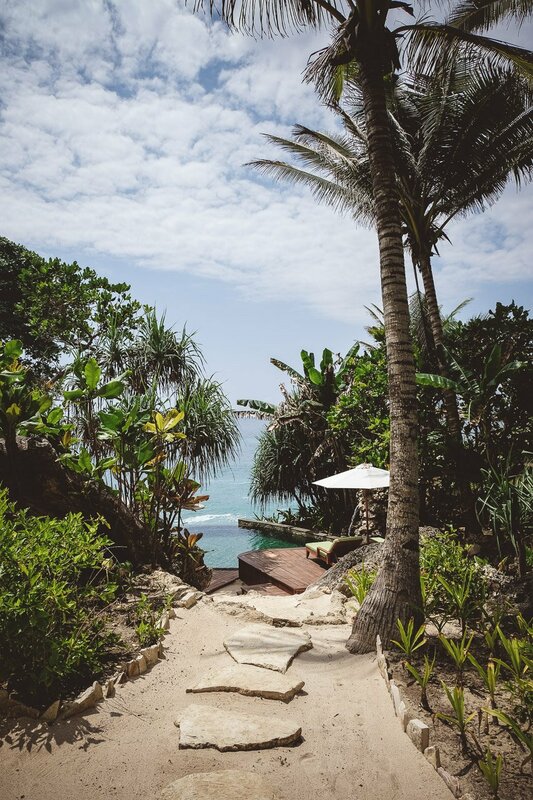 Conde Nast Traveller has voted it the number one Hotel of the World for two years in a row and it is a luxury resort and elite member of the Leading Hotels of the World. 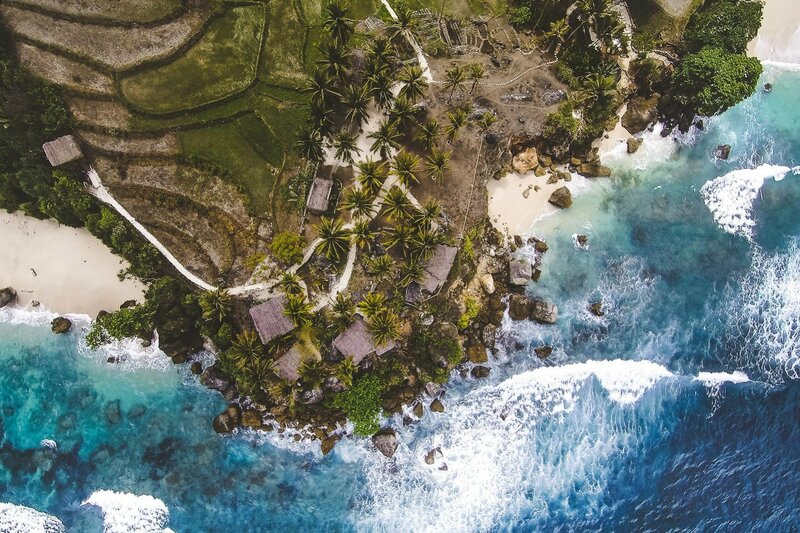 Do you like this article? 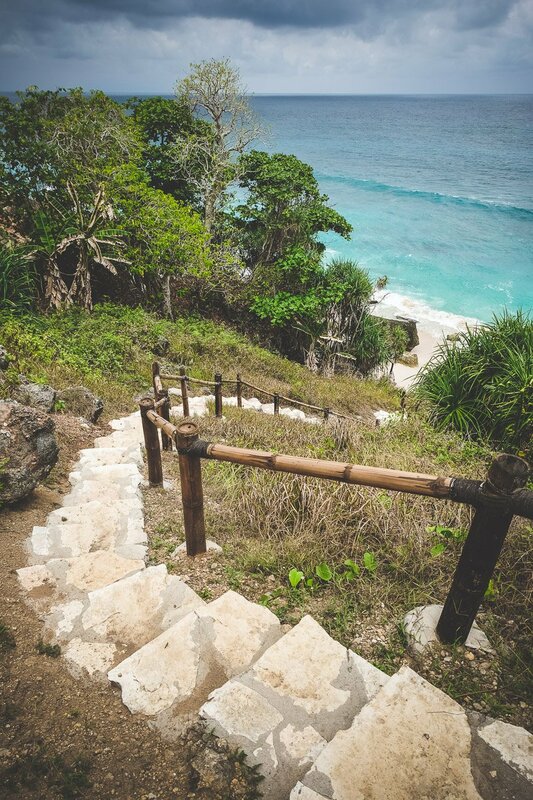 Then, please make our day and share it! 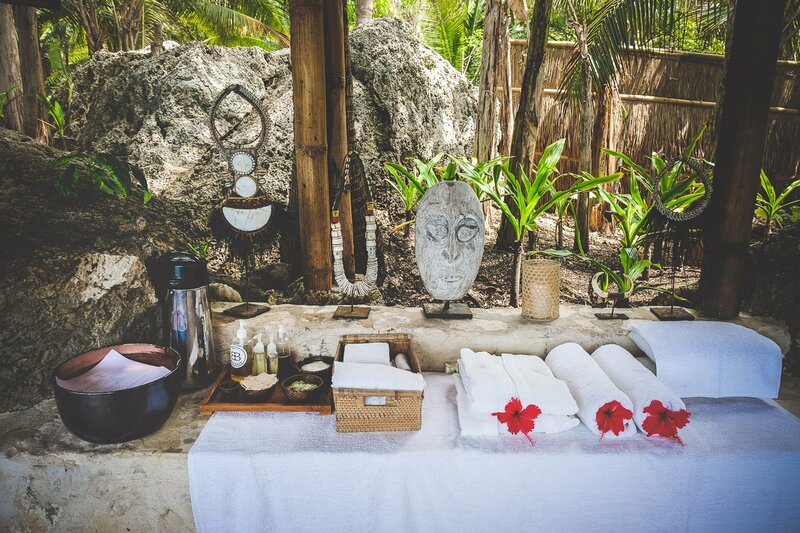 Please note: We funded our stay at the Nihi Oka Spa ourselves.